Buenos Aires is the capital and cosmopolitan hub of Argentina. This unique city is bursting with life, culture and culinary delights. With its European influences, vibrant night life, delicious foods and passion for the arts, Buenos Aires should be on everyones travel bucket list. If you’re planning on visiting this fascinating city, or just need a little convincing to book those plane tickets, then check out our list of the Top things to do in Buenos Aires . Antiques at the San Telmo market. Photo credit: Shutterstock. 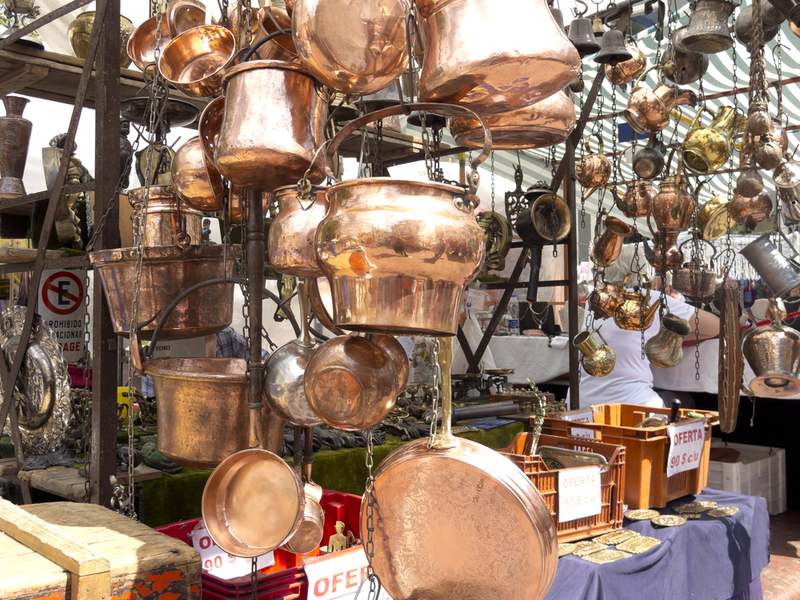 Every Sunday the beautiful streets of San Telmo turn in to a wonderful, bustling market come street party, full of local artisans, street performers, and of course antique stalls. This amazing display of local culture takes place in the Plaza Dorrengo, and is one of the area’s most famous attractions. This tradition originally began with only antique stalls in the main plaza, but quickly spread down the surrounding streets as local vendors and artist joined in the fun, becoming the energetic market you see today. This is the best place to pick up a hidden gem, a bargain antique, or shop for hand made souvenirs from your trip. After a long day of shopping you can relax and grab a bite to eat in the many restaurants on Calle Defensa, a lovely little street that runs along side the Market. The La Bombonera stadium in Buenos Aires. Photo credit: Shutterstock. 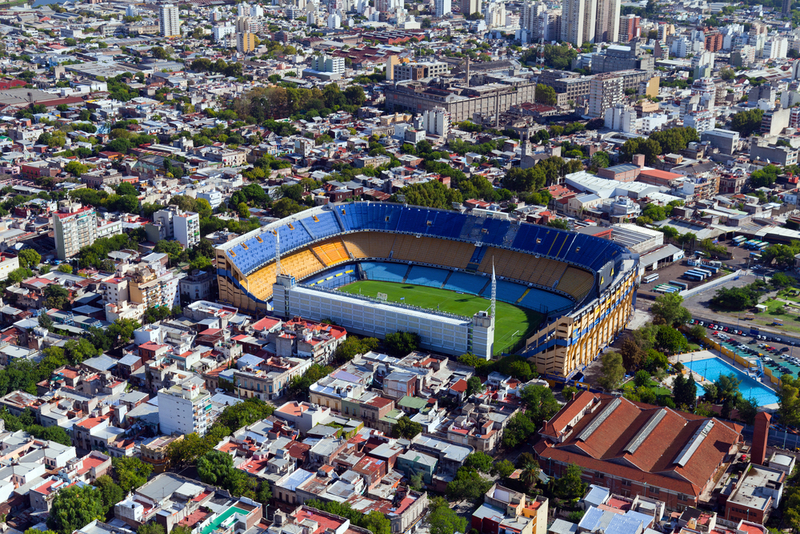 Get up close and personal with the pride and joy of Buenos Aires, their professional football team the Boca Juniors, at the La Bombeonera stadium. If there happens to be a match while you’re in the area you’re in luck! Don a crazy blue and yellow hat and jump along with the adoring fans, as they celebrate their team or indeed taunt the opposing one. Matches against their rival team, River Plate, rial so many emotions amongst the fans that they even get their own name, Superclasico. It is said that watching these two teams battle it out on the pitch is on several ‘100 things to do before you die’ lists. 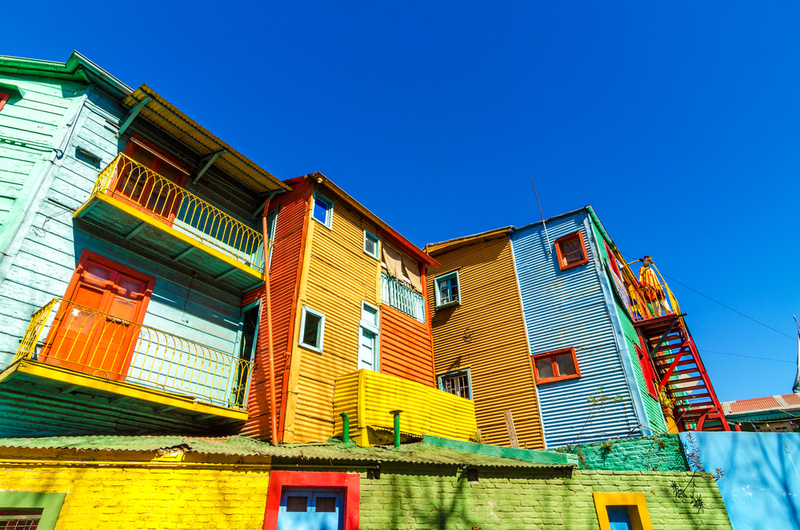 Whilst in La Boca you must pay a visit to the Caminito, a collection of streets so full of life and colour that it attracts people from all over the world. This brightly painted area was started by local artist Benito Quinquela Martín In 1960, as he wanted to express his artwork on the large canvas, that was then a collection of abandoned buildings. Since that time artists travel from far and wide to adjoin their work with Benito’s, showcasing their art on anything from cobble stones to walls, and door frames to roof tops. With it’s rich history and beautiful artwork a walk through Caminito is an experience of a life time, and one not to be missed. Japanese Gardens Buenos AIres. Photo credit: Shutterstock. Hidden away in the Bosques de Palermo park you will find a little oasis of calm and tranquility, that will instantly transport you away from the noise and fast pace of the surrounding city. The Japanese Gardens are fun for all the family; the Kois and Ducks are always hungry for bread crumbs, and the Japanese tea house has surprising delights that everyone will enjoy. No matter what time of year you choose to visit, these gardens are always miraculously maintained, and each season brings new colours and plant species. 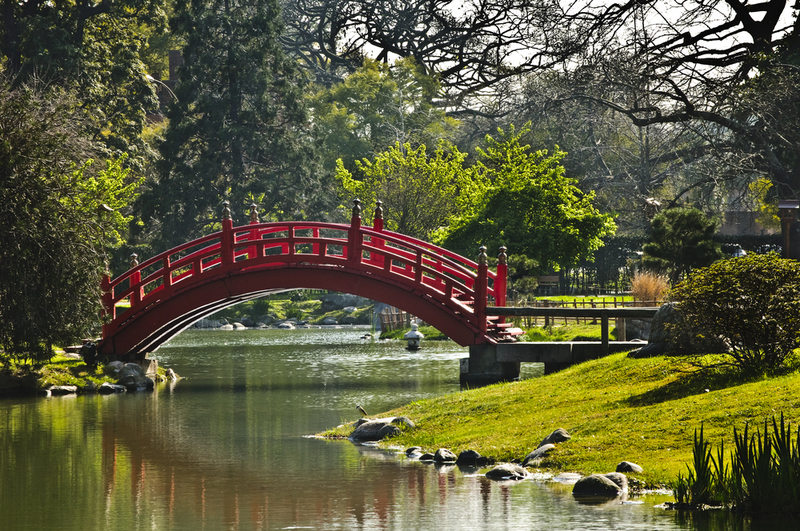 With it’s stunning water features, unique flowers, romantic scenery and Japanese architecture, this is one place not to be missed on your next trip to Buenos Aires. 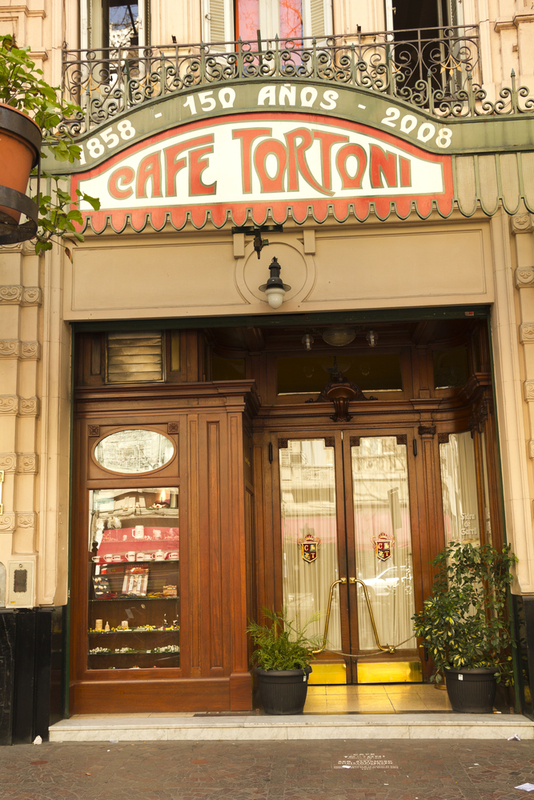 Cafe Tortoni in Buenos Aires. Photo credit: Shutterstock. Most Argentineans love three things; wine, football and, of course, coffee. The traditional way to drink coffee in Argentina is with a delicious, crispy Medialuna (Argentinean croissant), and there’s one place in Buenos Aires that you simply have to try this blissful combination, Café Tortoni. This café is the most traditional in the city, being founded in 1858. Over the years Café Tortoni had played host to the depths of bohemian society to the heights of the literary community, and has never lost one shred of its grandeur or charm. 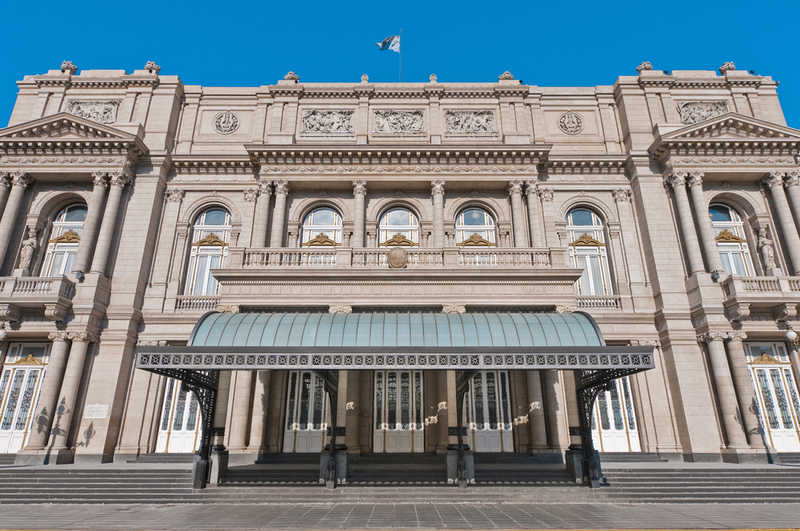 Here you can truly absorb the rich history and culture of Buenos Aires while sipping on some of the freshest brewed coffee, and watching the daily jazz and tango performances. Another one of the Top things to do in Buenos Aires is this stunning, seven story masterpiece is one of Buenos Aires’ most prominent land marks. It is the City’s main performing arts venue, and is the only establishment of it’s kind in the entire country! One step into this gigantic building and you feel instantly surrounded by history and elegance, with it’s outstanding acoustics, european eclectic design, and world-class opera forum, this comes as no surprise. Backstage tours and guided walks are on offer daily, with English speaking guides offering their services on the hour, every hour. You really must see this magnificent display when visiting Buenos Aires to truly appreciate the country’s heritage and artistic background. Argentineans are known worldwide for their delicious and tender steaks, so there’s a whole lot of competition when it comes to the best parilla in town. 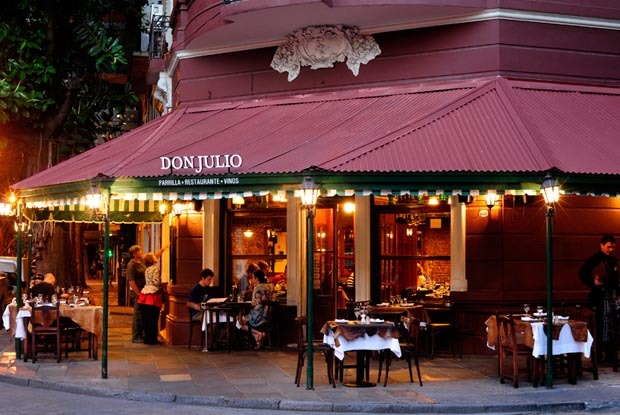 However, there is one establishment that always seems to come out tops, with both locals and tourists alike, and that’s Don Julio’s. This restaurant strikes the perfect balance between luxury and traditional, giving it’s diners an experience to remember. The state of the art kitchen opens up onto the dining room, and the expertly trained weight staff are always happy to give you a crash course in the meats available. Probably the best thing about this restaurant, besides the steak, is their outstanding wine collection. You can find the perfect pairing for any cut or style of meat, and can show your appreciation by signing your bottle, which will then join the hundreds of others on the display wall. People say that New York is the city that never sleeps, these people haven’t been to Buenos Aires. Some of the most amazing things happen in this city after the sun sets, and continue until it rises. One of the best, and most unusual places to enjoy the city’s night life is in the Floreria Atlántico bar and restaurant. The most fascinating thing about this particular bar, is that its entrance is hidden in the back of a seemingly innocent flower shop. However, once you step inside you are greeted by a retro-inspired, ultra hip bar, that caters for diners and drinkers of all backgrounds and ages. This bar was founded by two of the biggest names in the nightlife scene, Julian Diaz and Renato Giovannoni, the leader in Argentine mixology. 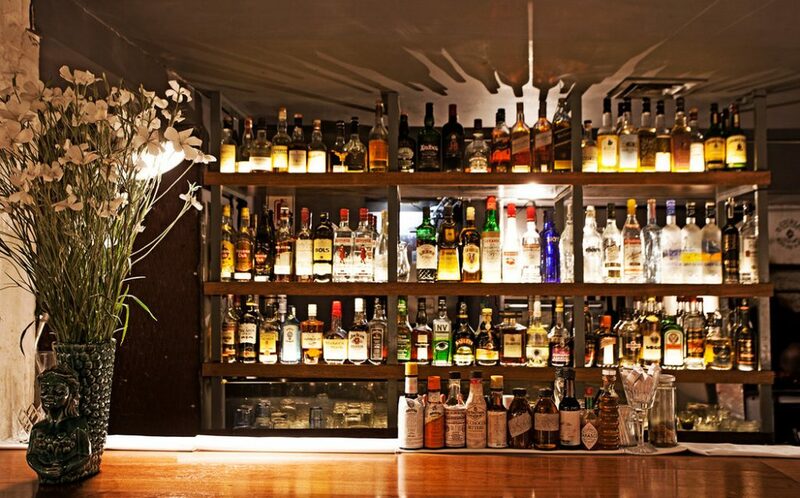 The meeting of these two minds has created a bar like no other, with it’s modern soundtrack, laid back vibes, and state of the art cocktails, this is definitely the place to be on a night in Buenos Aires. Do you want to see all these Top things to do in Buenos Aires yourself? Chimu Adventures offers trips to Argentina and Buenos Aires, click here for more information.